Effective sales pipeline management goes well beyond filling your pipeline with new leads. 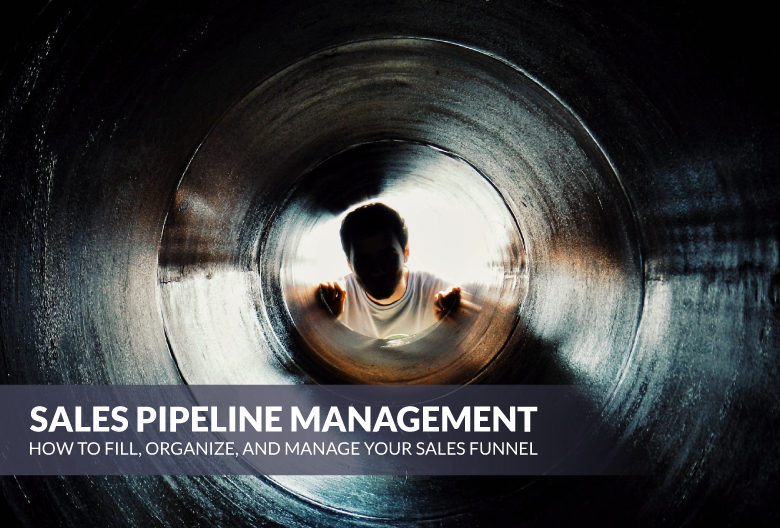 Even if you’ve got a solid list, a stellar cold email campaign, and a talented team ready to sell your product, your sales success is still largely tied to how well you can manage your pipeline. 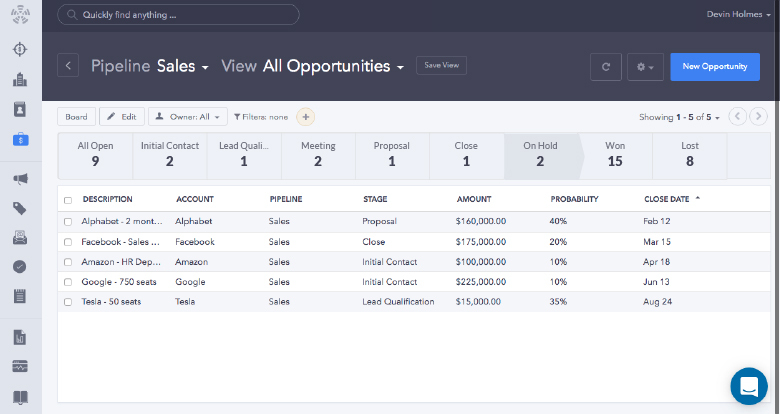 Done well, pipeline management lets you take control of your sales opportunities. It makes it easier to keep your contacts and prospects organized, define and discuss your sales goals and processes, and measure your results along the way. Your sales pipeline is a step-by-step visualization of your sales process. Though steps may vary depending on your business and your goals, a standard five-step pipeline involves contacting prospects, qualifying your leads, scheduling and conducting a sales demo, submitting a proposal, and closing the deal. Setting up your pipeline with each of these steps in your CRM allows you to see your sales potential at a glance. It provides you with a visual representation of your sales funnel from start to finish, which means you’re able to quickly review your team’s opportunities and see exactly how many leads are at each stage. This is valuable for a range of reasons, including helping you forecast more accurately, set realistic sales quotas, and monitor the number of leads to keep your pipeline full of potential. Once you’ve set up your pipeline in Propeller CRM, there are a quite few things you can do to optimize your sale processes – like brushing up on your sales prospecting techniques. Improving your lead generation strategies and seeking out sources of recurring revenue are the best ways to ensure you’ve always got fresh opportunities in the pipeline. After all, the more qualified leads you have on the table, the more opportunities you have to grow your business. As new prospects enter the pipeline and closed deals exit, it’s important to have a good understanding of which open opportunities are most worthy of your attention. Reviewing and organizing leads by how likely they are to make a purchase allows you to identify which high-priority opportunities your team should prioritize. This involves creating a lead scoring model that your sales reps can use to identify high-value sales opportunities that are most likely to close. Different deals move through your pipeline at different speeds. Generally speaking, the faster a lead moves through your pipeline, the more likely it is to close successful. So, you want to increase velocity whenever possible by building momentum to keep things moving forward. But even if you do everything right, some opportunities are bound to get stuck. Maybe it’s a certain stage in the pipeline slowing things down or simply a lack of action items for the lead to complete. When you spot sluggish or stalled opportunities, make an effort to connect with and motivate those prospects to get the deal back in motion. Use follow-up emails or phone calls with paused leads to see if you can generate some new momentum. To make things simpler, you can schedule automatic follow-up reminders using your CRM. You don’t want your pipeline to get bogged down with deals that aren’t likely to close. Not only does keeping deadweight in your pipeline throw off your forecasting, but it also takes energy away from deals that are more likely to go through. Though it can be tough to shut down potential business, there’s value in being able to recognize when an opportunity just isn’t going to work. In these cases, you can either double down on bringing the deal back to life (see above) or make the decision to remove it from your pipeline altogether. Clearing out the pipes ensures your healthy deals can keep moving at a steady pace. The longer any deal sits in your pipeline, the less likely it is to close – so it’s crucial to tidy up on a regular basis. Sales pipeline management is beneficial on an organizational level, but it can also give your reps the data, confidence, and edge they need to meet their individual sales targets. The only problem is, it can be hard for reps to see the value of pipeline management when they’re focused on their day-to-day details. You can combat this by training your reps on the role of pipeline management in your overall sales strategy and outlining the actions that need to take place at stage of the pipeline. As with any new technology or tool, it’s important to spend some time onboarding your reps when you first introduce a CRM tool. Schedule pipeline management review meetings every couple of weeks to discuss the health of your pipeline. This can be separate from any forecasting meetings but should cover whether there are enough incoming sales-qualified leads for your reps to make their upcoming targets. Taking full control of your pipeline requires an in-depth understanding of various sales metrics. The more information you collect, the more value from your team can derive from your CRM and your pipeline management strategies. The analytics dashboard in your CRM can help you make sense of all the data – which, in turn, allows you improve your forecasting, makes it easier to source sales-ready leads, and helps optimize your sales process by highlighting high-value activities. From improving lead quality to optimizing your sales funnel to helping your reps meet their quotas, sales pipeline management can help you get more value out of your sales opportunities and sales processes. Using a tool like Propeller CRM makes it easy to visualize every stage of your sales funnel, so you can optimize your sales processes and close more deals in less time. 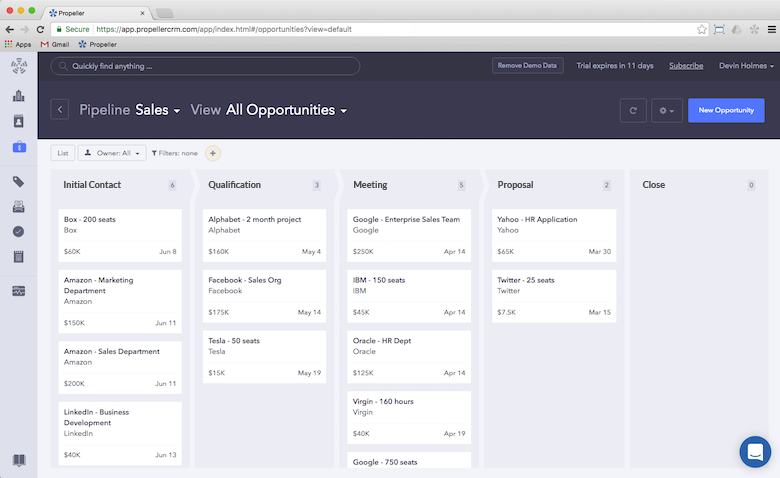 Want to see how Propeller can streamline your pipeline management from start to finish?